After his team suffered a slew of injuries, then senior Tyler Kurz found his 5-foot-8 self in a position he had never considered playing: center. It was 2008 and the Glenbrook North varsity basketball team was in the championship game of a Thanksgiving Tournament against Lake Forest. Late in overtime, Kurz was fouled and sent to the free-throw line where he sunk both shots to put his team ahead and ultimately win the game 65-62. 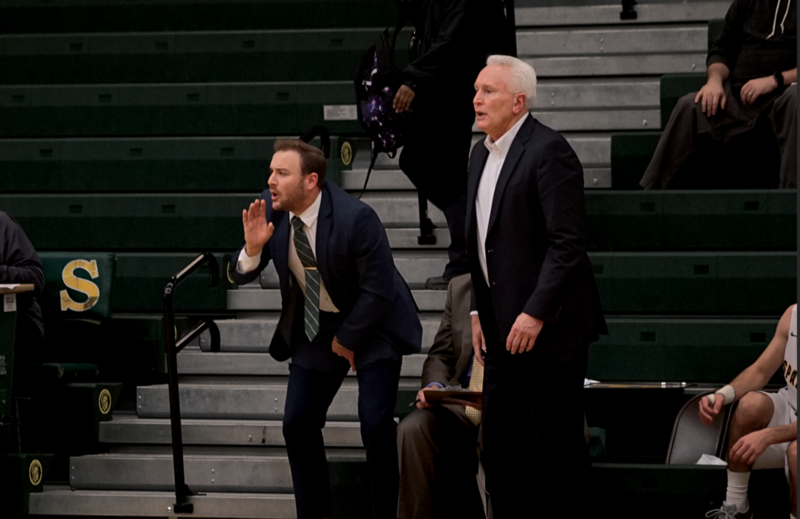 Kurz, who is currently an assistant boys varsity basketball coach for GBN, said his ability to succeed in an unfamiliar position was a product of coaching from Dave Weber, boys basketball head coach. “There [are] no 5-foot-8, 160 lb. centers, but everything that I learned from him from a preparation standpoint, from a focus standpoint, came into play that day because I knew everything that was going on on the court, everything for all five guys, not just my position, and … it paid off,” Kurz said. Since his time as a Spartan, Kurz has used what he learned from Weber in both playing and coaching basketball. Last year he made his return to the team when he became a member of the varsity coaching staff. Weber said he decided to add Kurz to the staff while observing him coaching an eighth-grade team for GBN’s Feeder program. Weber said he did not initially expect Kurz to be at every game and practice, but he soon found Kurz doing just that. Senior Sam Sullivan said he notices a similar coaching style between Kurz and Weber. “They like to do the same things because [Kurz] learned those things from Coach [Weber] like 10 years ago,” Sullivan said. According to senior Brian Johnson, both Kurz and Weber share a love for defense. “They both like charges a lot, they get excited every time someone takes a charge,” Johnson said. Weber said he and Kurz often consult each other about different plays and strategies they can implement. “Before one game last year we had a bunch of injuries … so [Kurz] sent me a text message during the day and he said, ‘What do you think about playing zone against this team?’ and I hadn’t thought about it and I said, ‘That [is] a pretty good idea,’ and we … ended up winning the game and that suggestion was big on that day,” Weber said. Kurz said since returning he has gained a greater appreciation for the relationships he formed with Weber and other coaches. “I didn’t know how much [Weber] actually cares about each kid … how much he stays involved in knowing what goes on with them after they leave,” Kurz said. He said he has already begun to keep in touch with the seniors he coached last year. According to Weber, a lot has changed in terms of coaching since Kurz’s time as an athlete. Kurz said he has observed how his fellow coaches have adapted to a new generation of players with a less punishing coaching style, and he has followed their lead. “When I played you could get more from using running as a punishment … being louder, being more demonstrative, getting on a kid, and kids don’t respond to that [type of coaching] like they used to, and I think [Weber has] done a really good job of recognzing that and changing his style,” Kurz said. As of Dec. 4, the team is 4-2. Through the first four games, Johnson led the team with an average of 14.5 points per game. The team finished third out of eight teams at the GBN/St. Patrick Thanksgiving Tournament with seniors Frank Siegien, Alex Press and Spencer Malkin making the All-Tournament Team. 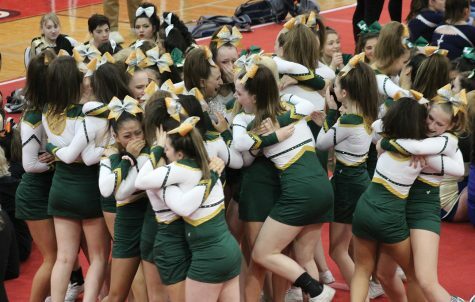 Kurz said this is one of the most skilled teams GBN has had since the 2009-2010 season. “I think we have a chance to finally get some numbers back up on that conference championship board,” Kurz said. 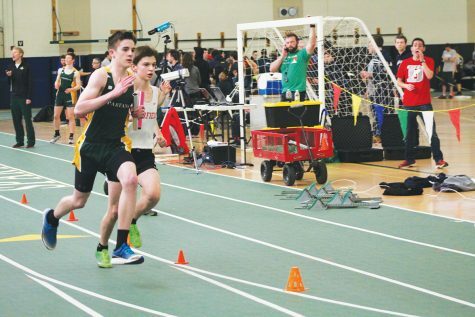 According to Kurz, being back at GBN has allowed him to put his heart into his job. “I care for the program … and I want nothing but the best for all of it and when you love your job, it makes every decision you make easier, it makes everything clear,” Kurz said.